Home trend designs, and go with the years but there are some we wish would just die. Some are so outdated and I have no idea why they keep making the rounds, but it’s like that old saying, “there’s nothing new under the sun” is certainly true when it comes to fashion, opinions, and design. 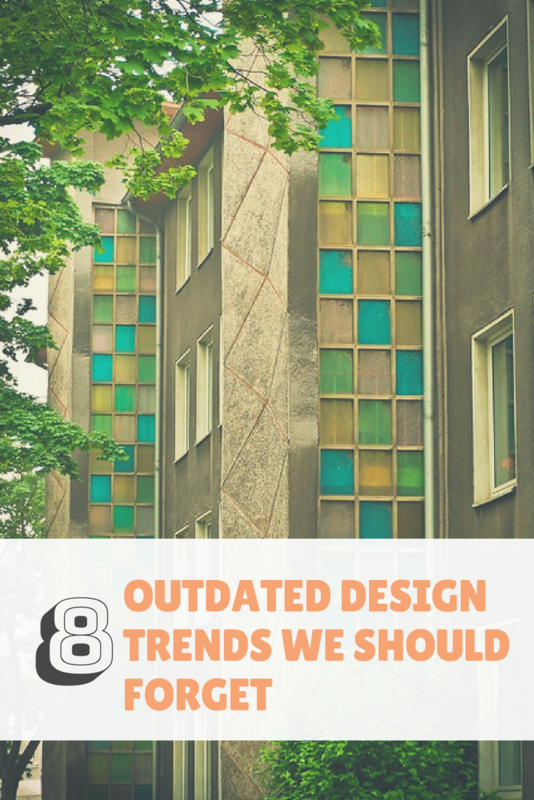 But, if you’re planning on a remodeling your home or doing some renovations there are some key trends that you should just probably forget about. Having a kaleidoscope of colors on your roof just detracts from the house itself. Having a solid colored roof works better especially if you have different textures and colors on the house itself. It’s more likely to clash with your colors rather than a good compliment. Those big, glass blocks that allow light to come through a shower or bathroom are simply outdated, not that I think they were ever really in style but these newer homes use creative glass designs or skylight that offer the same idea without being dated. I think there was once a time where brass was in, but unless it is specifically and intentionally put in a certain place, it’s just outdated. Brass door knobs, fireplace fixtures, lighting fixtures, and the like should all be updated to something more modern and timeless such as a brushed nickel or an antique bronze. White was the neutral color for a long time and then we switch to gray, but some people have gone gray overboard. Too much gray leaves it drab so you want some pops of color in your exterior home design. Some brick accents such as posts and maybe one section of the exterior part of your house in brick make a statement but an entire brick house looks dated. Carpet was definitely the thing in the 70s and 80s and then we pulled that carpet up and enjoyed our hardwood floors. But, a good mix of both can create a timeless look. You definitely don’t want carpet in a bathroom or kitchen but soft carpet or even area rugs over hardwood floors and a bedroom creates a soft and inviting environment.